The 15" Q Power subwoofer box is designed and built for the deepest bass. Comes with 5/8" heavy duty mdf construction and 2 sealed chambers. Overall dimensions of the unit come in at 34" w x 15" h x 15-3/4" top depth x 21" bottom depth. 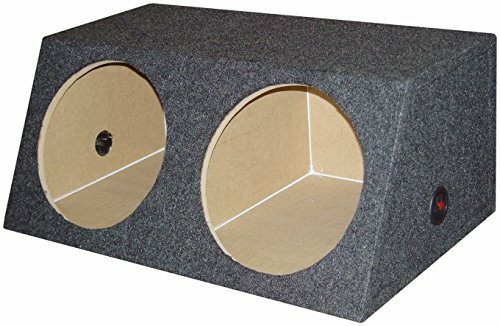 Purchase the Q Power subwoofer box with innovations this box has a charcoal carpet covering and will ensure that your 15" woofers hit really hard time and time again. We are an authorized Q Power dealer.